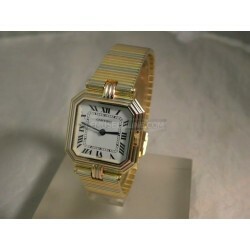 Cartier S.A., commonly known as "Cartier", is a French luxury jeweler and watch manufacturer. The corporation carries the name of the Cartier family of jewellers whose control ended in 1964 and who were known for numerous pieces including the "Bestiary" (best illustrated by the Panthère brooch of the 1940s created for Wallis Simpson), the diamond necklace created for Bhupinder Singh the Maharaja of Patiala and in 1904 the first practical wristwatch, the "Santos." 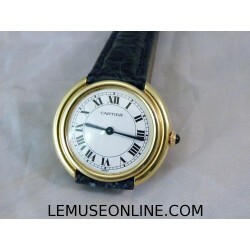 Cartier SA is headquartered in Paris. The company has a long and distinguished history of serving royalty, as well as stars and celebrities. One Prince of Wales hailed Cartier as "Joaillier des Rois, Roi des Joailliers" (Jeweller to Kings, King of Jewellers"). Cartier received an order for 27 tiaras for the coronation of the future King. King Edward VII was crowned in 1902 and in 1904 he honoured the Company with the Royal warrant of supplier to the Royal Court of England. Similar warrants soon followed from the courts of Spain, Portugal, Russia, Siam, Greece, Serbia, Belgium, Romania, Egypt and finally Albania, and also from the House of Orleans and the Principality of Monaco.NB WE REMIND YOU THAT A LOT OF OUR WATCHES ARE SOLD BY US FOR OUR CUSTOMERS...THIS MEANS THAT IF YOU WANT TO COME IN OUR SHOP TO SEE ONE OF THEM YOU HAVE TO CONTACT US TWO OR THREE DAYS BEFORE IN ORDER TO LET US TO HAVE THE TIME TO BRING THERE THE WATCH! 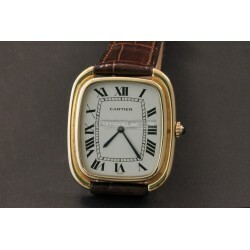 Cartier There are 3 products. 18kt Yellow gold case ( size 33mmX29mm ) Manual winding movement caliber 2512 Blue crocodile strap White dial with roman numbers Sapphire glass Quite rare model! Made in the '80s Very nice conditions! The case is made of three different color golds: yellow, red and grey! ( 37mm X 37mm ) Original brecelet made of three different color golds: yellow, red and grey! Quartz movement caliber 81 White dial with roman numbers Sapphire glass Made in the '80s Rare model Wonderful conditions!